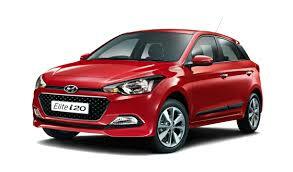 How time flies and we know that because the new generation of the Hyundai i20 has already turned one. Winner of the ICOTY and even the CNB Viewers Choice Car of the Year Award, the i20 has won its fair share of accolades. So what could be a better way to celebrate a car's first anniversary than a special edition? Hyundai has quietly launched the Special Edition of the car and it will be available only in the Sportz trim and will be priced at 6.69 lakh (ex-showroom, Delhi). While the petrol variant comes at that price, the diesel special edition is priced at 7.84 lakh (ex-showroom, Delhi). Finished in polar white body color with body graphics, 16-inch diamond-cut alloy wheels, aluminum pedals and an emblem on the boot lid all signifying that it's a Celebration edition, the i20 gets all the embellishments to make it extra special. There are no changes mechanically so the petrol variant comes with the 1.2-litre Kappa Dual VTVT petrol unit which churns out 83bhp while the 1.4-litre U2 CRDI diesel unit pumps out 89bhp.